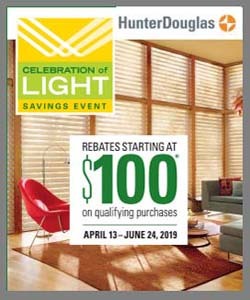 Providing light control, privacy, and improved energy efficiency, Hunter Douglas window shades work in any window. 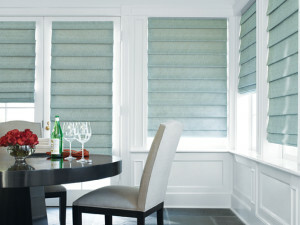 At Windows, Walls & More, we offer the full line of Hunter Douglas window shades. Shade fabrics range from man-made materials to natural sustainable materials like bamboo and are available in a wide selection of colors, styles, textures, and options. Honeycomb are great insulators and the most energy efficient shades on the market. Versatility is the cornerstone of honeycomb shades. Not only are they available in a seemingly endless number of colors, they can cover most any window, from standard windows to hard-to-cover windows, including, skylights, arches and more. As the most energy efficient shades on the market, these shades combine two or more layers of pleated fabric forming a “honeycomb” cell that traps air. 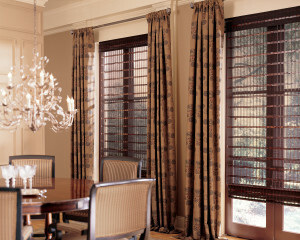 Roman shades have a timeless style that adds a soft touch to any room. Our selection of Hunter Dougals Roman shades are available in a wide variety of fabrics, colors and light filtering options. As an added bonus, Roman shades provide a layer of insulation between the outside air and your home, improving energy efficiency without sacrificing style. We carry traditional Roman shades with either looped or flat folds, as well as more modern styles that offer a sleek and innovative look. 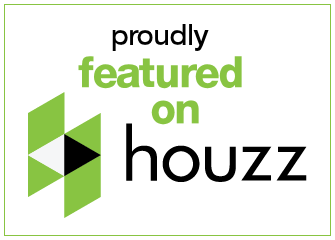 With the beauty of natural fibers and environmentally sound characteristics and, woven wood shades are becoming increasingly popular here in Michigan. Made from renewable materials such as bamboo, reeds, and grasses, woven wood shades have a unique look that you just won’t find with other window coverings. Our selection of woven woods provide a warm look for a casual interior, or can be dressed up beautifully with drapery side panels for a classy, sophisticated room. Gone are the days when roller shades were flimsy and difficult to operate. 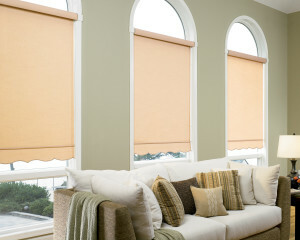 Today’s roller shades offer unique looks that you won’t find with other window coverings. 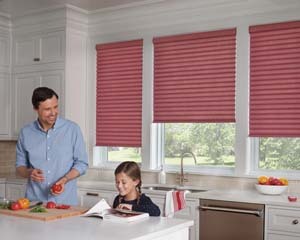 Featuring easy cord-lock operation and automated options, roller shades continue to provide sun-filtering to room darkening light and privacy control.